Don’t you like holidays? Holidays are the times when you can have a get together with your family or friends and most of them just love to enjoy them without worrying too much about anything. However, that is quite not possible since the thought of ‘gaining weight’ creeps up into our minds thus making us think twice before having the foods of our choice. On the other hand, you might also find few people who put their smart eating habits on hold since they assume that surviving the holiday season unscathed by weight gain is not really possible. But this idea could just do more harm than good. The best thing you can do is to stay on the course and just follow a few steps. You need to adopt the 80/20 mentality. You have to eat well around eight percent of the time and the rest twenty percent, you can just indulge in any sort of foods you want. 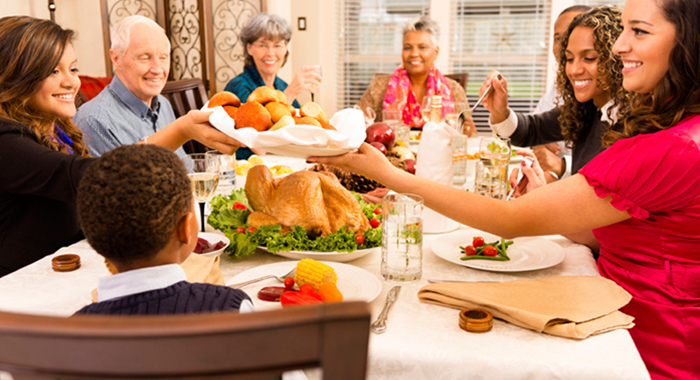 Holiday dinners can be made healthy. 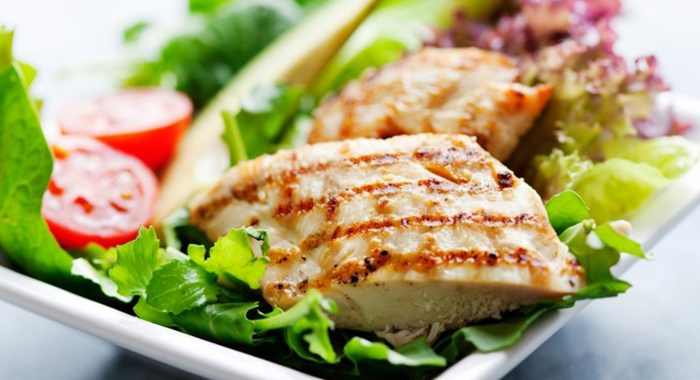 You must load up your plate with healthy choices such as vegetables, lean proteins and salads. Make sure that you leave only a little room for the extra decadent foods. However, you don’t have to stay away from all the foods you love. But, just remember the portion size. Weight loss could be a really ‘troublesome’ job in particular between the office parties and family feasts. If you wish to drop around five to ten pounds in December, then it is going to be an unrealistic goal. The best thing you can do is to focus on maintaining the weight. By doing this, you won’t get frustrated and completely throw in the towel on healthful eating if the number on the scale isn’t shifting. 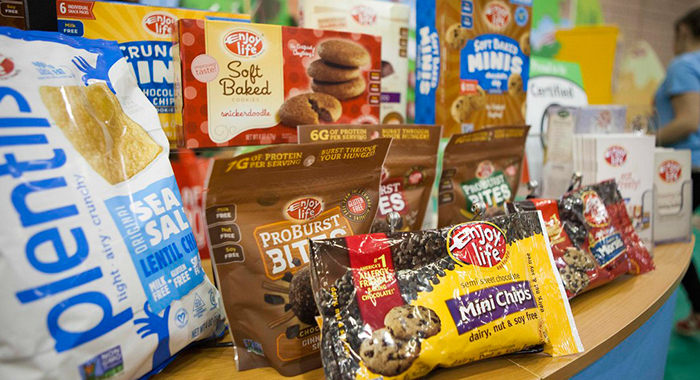 Smart Emergency snacks are what you need when you head off for a marathon session of gift purchasing. If you do not do that, you will find yourself starving, and you will be caving into mall smoothies (which is, of course, high in calories), giant soft pretzels, or any other bad choices (which you will regret about in the late future). There are lots of seasonal activities that you could do when you are on Hols. So, all you have to do is to take advantage of it. 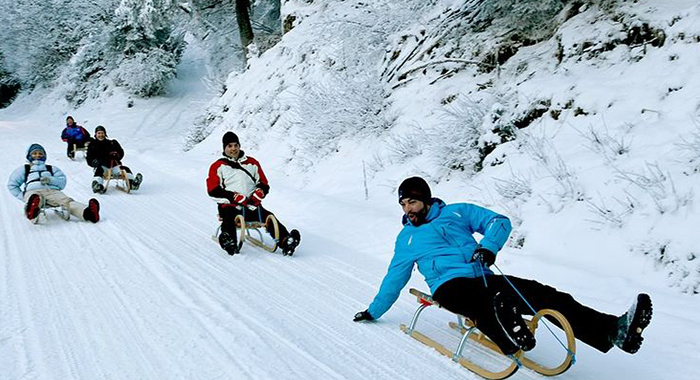 You could go sledging, skiing, ice skating, or even snow tubing. Or, if you are living in a warmer climate, then you can go for a hike. It does not actually matter where you live. There are several indoor activities also that assist you to burn some calories. Those indoor activities include throwing on a fitness DVD or perhaps dancing around your living room. Just be active and get your body moving rather than becoming a couch potato. Hydrate!! You need to drink loads and loads of water. There are chances that you misunderstand thirst for hunger and therefore consume an excessive amount of calories. Dehydration can also make you get cranky, leading to poor food choices. None of this is beneficial when you’re dealing with holiday-season pressures and temptations. 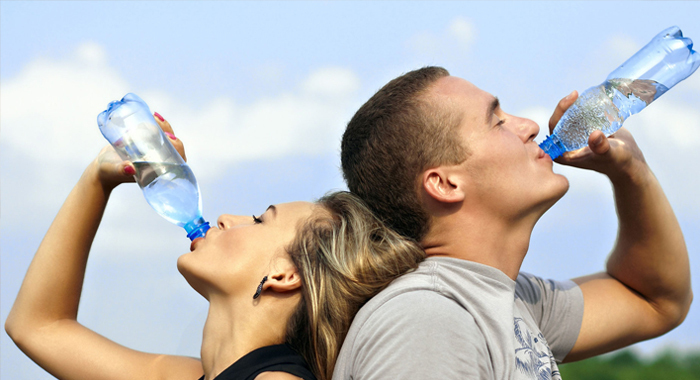 Don’t forget to carry with you a refillable water bottle, so that you always have water in hand. You can also try hot water with lemon. It will help in making you feel full. You might have tendencies to skip the breakfast or the lunch. But, this is yet another poor food decision since it will lead you to feast up during dinner. Some people think that it’s a good idea so as to save the calories for a big meal. However, you’re essentially setting yourself up for failure. 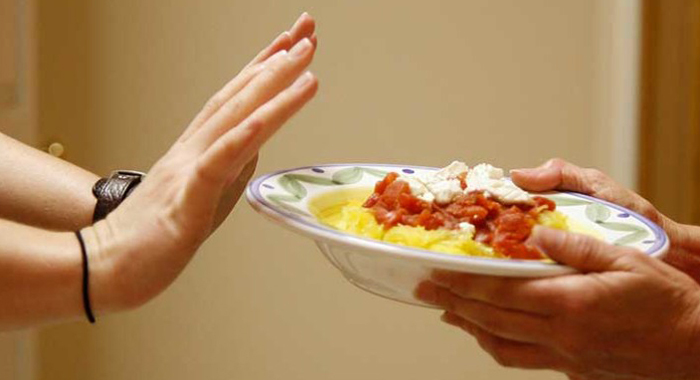 When you skip the meals, it will just leave you to feel famished by the time supper reaches the table. And it’s much difficult to make smart decisions when hunger gets the best of you. So have a satisfying breakfast and perhaps a lighter lunch. Yet another easy way to control your diet while on holidays is to bring in foods that are healthy and diet friendly to the holiday table. It’s much easier than it actually sounds. Your calorie-counting friends will thank you, and other guests will not even understand that your dish is guilt-free. Try to take it easy when it comes to alcohol during the holiday season. There are two reasons for that: Firstly, the drinks itself often pack tonnes of empty calories. Moreover, s single cup of your average eggnog has more than 400 calories and 20 grammes of fat. 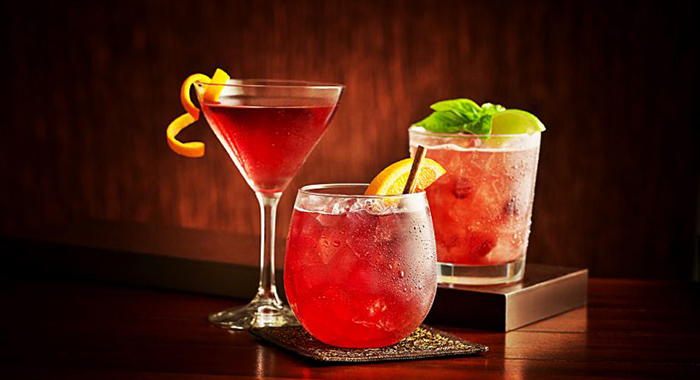 The second reason to restrict cocktails is that getting buzzed only makes you more prone to give into the temptation of creamy casseroles, double fudge brownies, and many more. Holding the urge to go nuts and indulge is arduous enough. If you’re hosting, give the calorie-dense foods home to anyone who will take them. 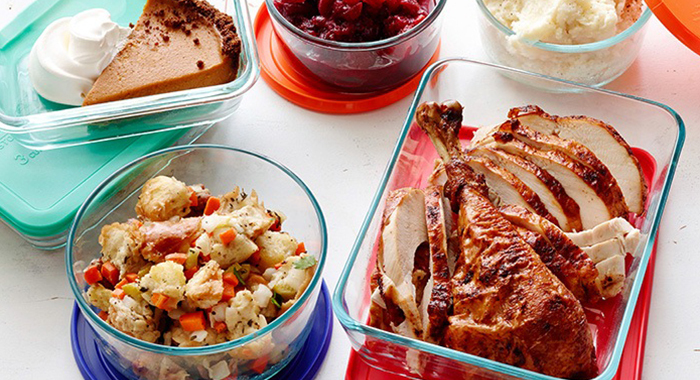 Stock up on inexpensive disposable containers so that you can give leftovers away without fretting about if you’ll get your dishes back. You can also refrigerate any item you have too much of so you don’t feel like you have to eat it all before it goes bad. If you’re a guest, then you can politely decline to bring home the “complex” foods. 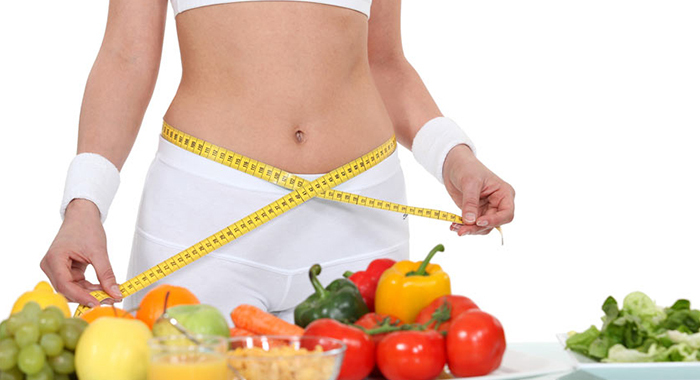 The above mentioned ways will help you to control your diet even while on Holidays. Therefore, you can enjoy your holidays without worrying too much about your weight.